If you love the Hourglass Modernist Eyeshadow Palette, then you will love their Ambient Lighting Bronzer & Blush, great for getting your glow on during the Summer! The Ambient Lighting Bronzer is infused with Photoluminescent Technology that delivers a multidimensional bronze glow. The lightweight, buildable formula adds the most natural and subtle warmth to your complexion. Available in two shades, Luminous Bronze Light and Radiant Bronze Light. 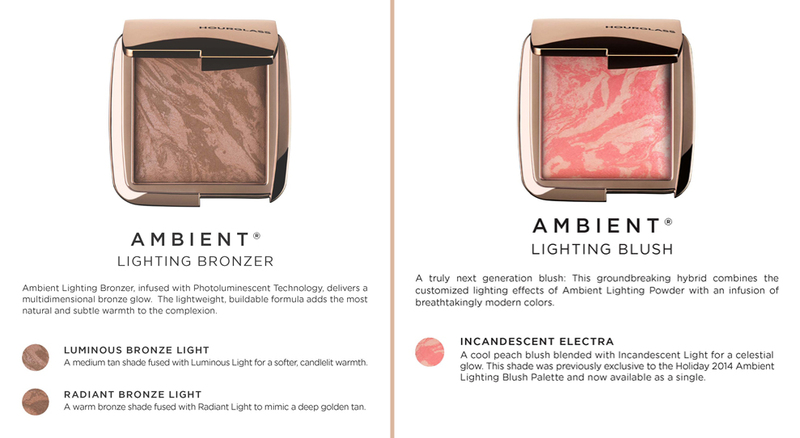 The Ambient Lighting Blush is truly next generation blush. The groundbreaking hybrid combines the customized lighting effects of Ambient Lighting Powder with an infused of breathtaking modern colors. Available in Incandescent Electra, a cool peach blush blended with incandescent light for a celestial glow. Katrina Hess Studios can help show you how to apply your new bronzer or blush for the best blend possible and create a full face to match.